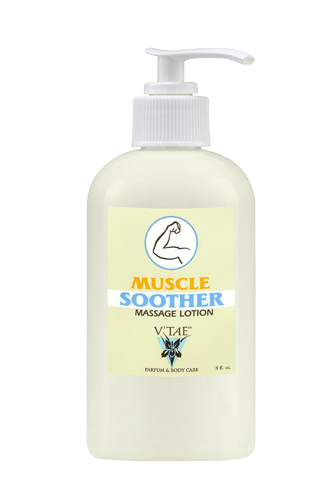 Muscle Soother Massage Lotion, 8 oz. Stand and wait for the glory of the Lord to bring gladness! Stretch out, relax, and let Muscle Soother relieve tense, tired muscles as you pray. Made with pure, natural eucalyptus, cypress, arnica, peppermint and juniper, this lotion is also great for improving circulation and relieving the aches and pains. Available in 8 oz. 1 Peter 4:12-13, Dear friends, do not be surprised at the painful trial you are suffering, as though something strange were happening to you. But rejoice that you participate in the sufferings of Christ, so that you may be overjoyed when his glory is revealed.